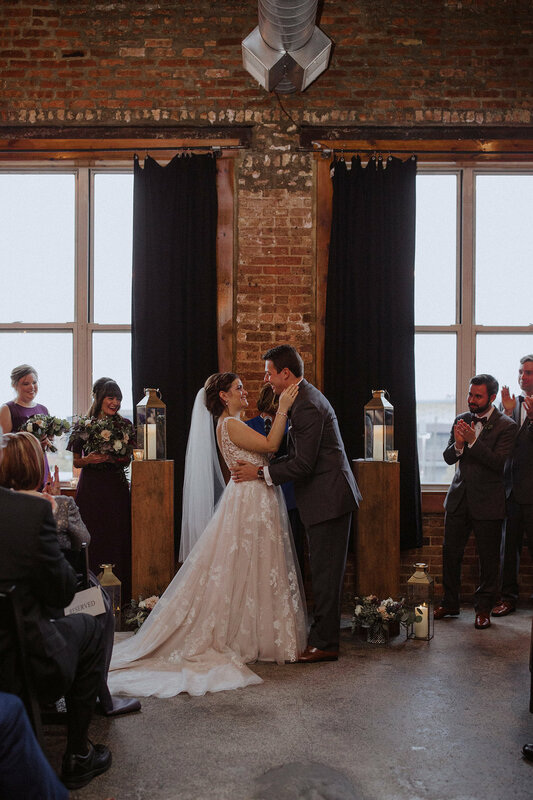 Sarah and Mike just sent a few photos of their November 3rd wedding day from Kyle Szeto Photography to us and I couldn't wait to share them. Seriously! I stopped what I was doing immediately to download these pretties. 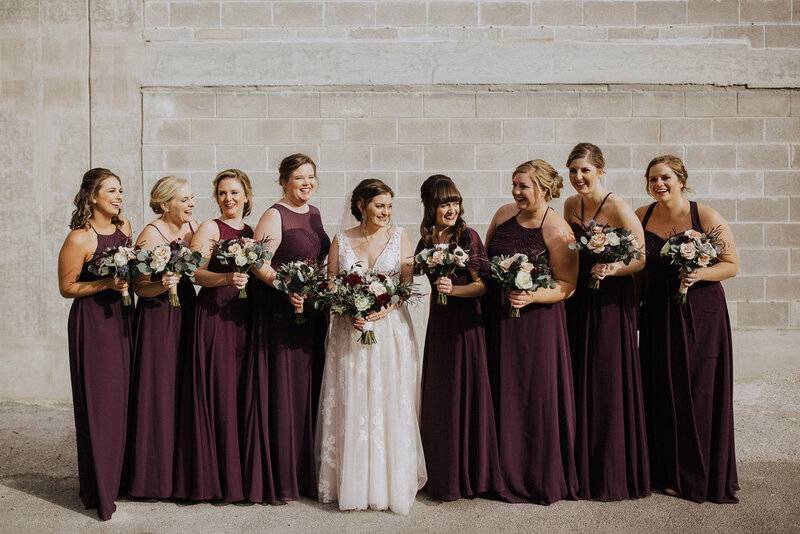 These happy smiles, fabulously coordinated attendants in gray and deep plum and classic reception at the always hip Bottom Lounge are a treat for the eyes. I’m also completely obsessed with all things fall (where did it go?) AND still swooning over her bouquet. Enjoy!